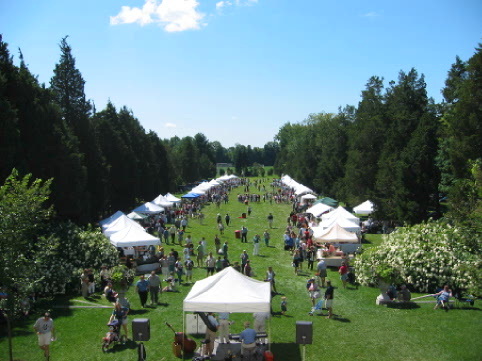 Wadsworth Mansion Blog: Open Air Market and Festival - Rescheduled to October 23rd! Open Air Market and Festival - Rescheduled to October 23rd! We hope you will join us for our 9th Annual Open Air Market and Festival on Sunday, October 23rd from 10:00 am - 4:00 pm! The historic Mansion will transform its 700 foot vista into a marketplace and festival where a variety of vendors will gather to sell their Connecticut grown or made products. One can stroll from tent to tent purchasing fresh produce, fruit, herbs, breads and prepared foods. Local artisans, such as potters, painters, and jewelers have been invited to sell their work. Visitors will be encouraged to lounge on the lawn with lunch and listen to live music performed on the patio. Families can bring their children and spend the day. It will be a day to discover the Wadsworth Mansion, enjoy music and art, and experience the tradition of shopping at an open-air market. For a list of participating vendors, click here.